Dr. Kristina Brendzel was awarded her doctorate degree from A.T. Still University in Mesa, Arizona in 2012. She received her Bachelor of Science degree in Communication Sciences and Disorders from the Western Michigan University in 1996 and her Master of Arts degree in Audiology from Michigan State University in 1998. Dr. Brendzel completed her clinical fellowship at the California Ear Institute at Stanford in 1999. She has received a comprehensive education in the areas of assessment and treatment of all populations with hearing and balance issues. Dr. Brendzel is trained in the areas of comprehensive audiological evaluations for patients of all ages, advanced hearing technology, osseointegrated (bone-anchored) hearing devices, electrophysiology (including electrocochleography, vestibular evoked myogenic potentials, and auditory brainstem response), videonystagmography, cochlear implant candidacy evaluations, and post-cochlear implant programming. She works with all three cochlear implant companies: Advanced Bionics, Med-El Corporation and Cochlear Americas. She also has experience performing canalith repositioning maneuvers. 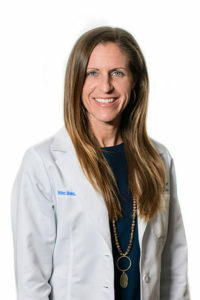 Dr. Brendzel is a licensed audiologist in the state of Florida and holds a Certificate of Clinical Competence in Audiology (CCC-A) from the American Speech-Language-Hearing Association. She is a fellow of the American Academy of Audiology (F-AAA).